 "Our Biochrom amino acid analyzer was installed in2004, and we have been using analyzers from Biochromfor at least 10 years for patient and animal samples.We are a relatively busy laboratory and typically runapproximately 1000 samples per year. We have beenpleased with the performance since installation andwould recommend it for the clinical environment"Eamonn O'Driscoll, Biochemical Genetics UnitCAMBRIDGE UNIVERSITY HOSPITALS NHS FOUNDATION TRUSTAMINO ACID ANALYSIS IN CLINICAL AND PHYSIOLOGICAL SAMPLESInvestigating metabolic disorders is a crucial and complex task.With over 42 clinically significant amino acids and their derivativesimplicated in the clinical diagnosis and monitoring of Inborn Errorsof Metabolism 1 , clinical laboratories need an accurate and reliableanalysis system that delivers unequivocal results quickly.The Biochrom 30+ is the latest gold standard dedicated amino acidanalyzer used by reference laboratories, hospitals, pharmaceuticaland industrial labs worldwide. 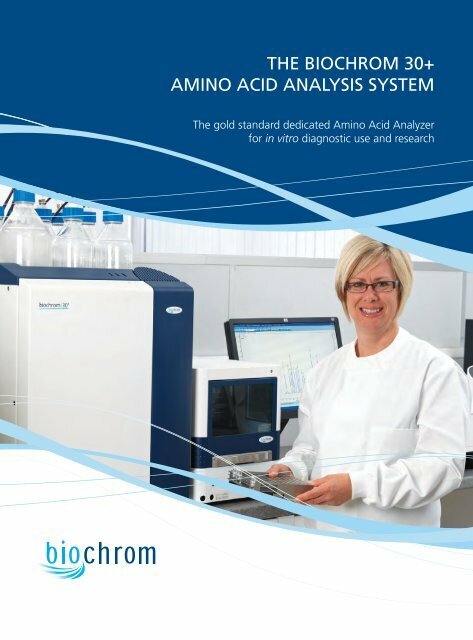 It allows users to accurately detectand quantify amino acids and their derivatives in complexphysiological samples for both in vitro diagnostic use and research.FIVE GOOD REASONS TO BUYA BIOCHROM 30+ FOR CLINICAL ANALYSISQUALITY ANALYSISThe Biochrom 30+ is capable ofseparating up to 56 detectablephysiological amino acids, derivativesand other compounds present inbiological fluids including rare aminoacids such as alloisoleucine,sulfocysteine, and argininosuccinic acid.It gives clear separations with precision(cv.